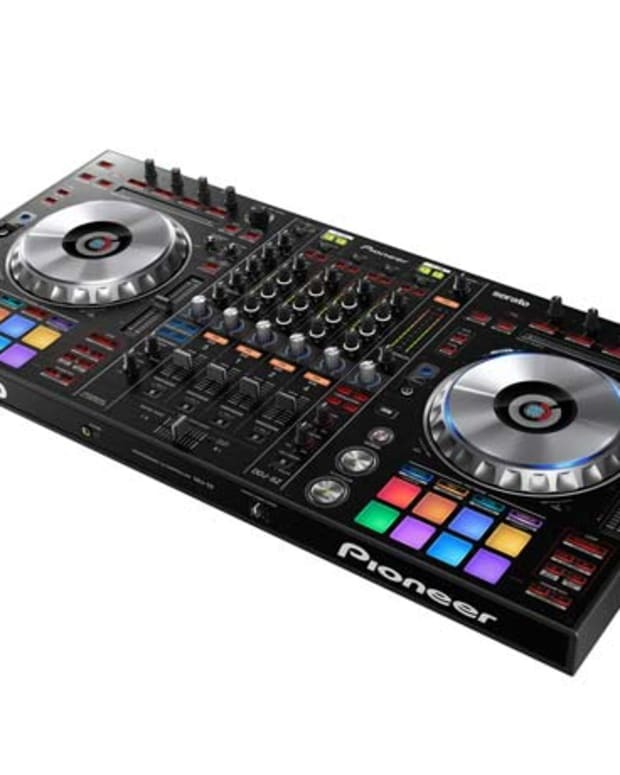 The DDJ-SB is a compact entry level USB DJ Controller with built-in audio interface from one of the most respcted names in the DJ equipment game, Pioneer. 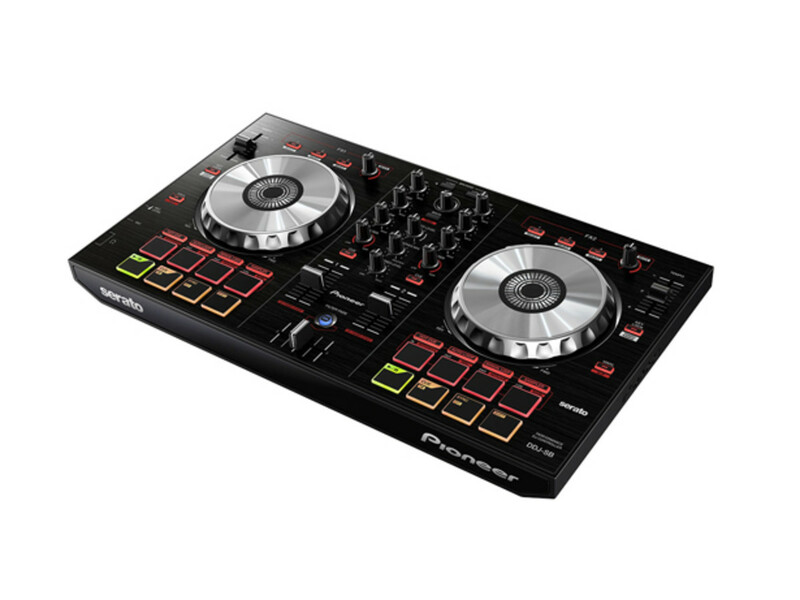 The DDJ-SB comes with Serato DJ Intro (Free download), and will work with Serato DJ (Paid upgrade). 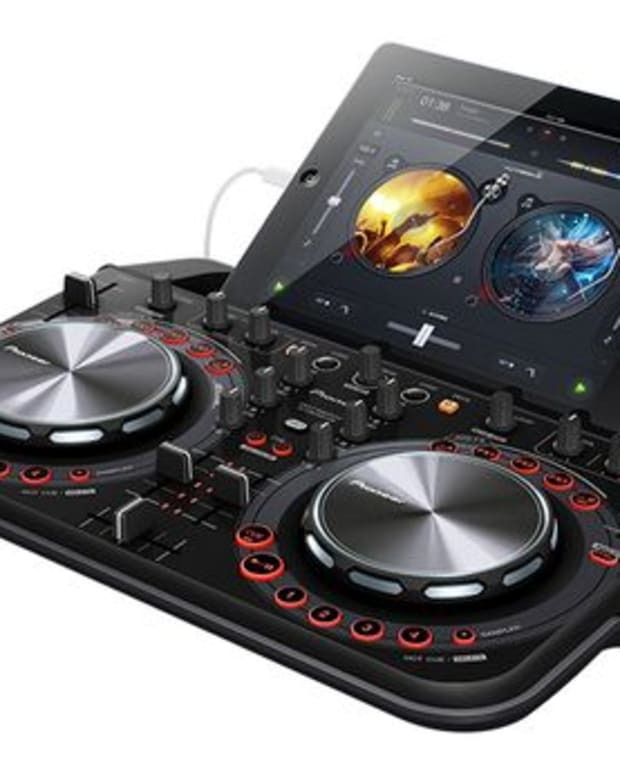 It has the same operability as the DDJ-SX and DDJ-SR, at a fraction of the cost. The DDJ-SB includes, TEMPO slider, KEY LOCK, VINYL (SLIP) button and two large jog wheels, made of the same aluminum material as other premium models, that allow precision control for reliable scratching and mixing capabilities. Its "JOG" feature, gives it a faster jog response rate and optimal adjustments made to the rotation speed while DJing to provide users with the best feel for scratching or slipping the song into place for smooth beat matching. Each of the jog wheels have be calibrated for the shortest latency. Located below each jog wheel are four small rectangle buttons, and eight larger square pads, called PERFORMANCE PADS. The bottom four PERFORMANCE PADS also double up as Play/Pause, Cue, SYNC, and SHIFT, for extra features. 1) HOT CUE: Sets the PERFORMANCE PADS to four different Hot Cue locations (Serato DJ Intro). Pressing [SHIFT] + HOT CUE sets Hot Cue Mode 5-8 (Serato DJ). 2) AUTO LOOP: Sets the PERFORMANCE PADS to Auto Loop mode, to instantly access 1, 2, 4 and 8 beat loops. [SHIFT] + AUTO LOOP sets PERFORMANCE PADS to Roll mode (Serato DJ). 3) MANUAL LOOP: Sets the PERFORMANCE PADS to Manual Loop mode, to be able to punch in loops "on the fly", with IN, OUT, EXIT, and a Loop Cutter. [SHIFT] + MANUAL LOOP sets the PERFORMANCE PADS to the Hot Loop mode (Serato DJ). 4) SAMPLER: Sets the PERFORMANCE PADS to Sampler mode, for triggering one shots and loops. [SHIFT] + SAMPLER sets the BANK Mode (Serato DJ). 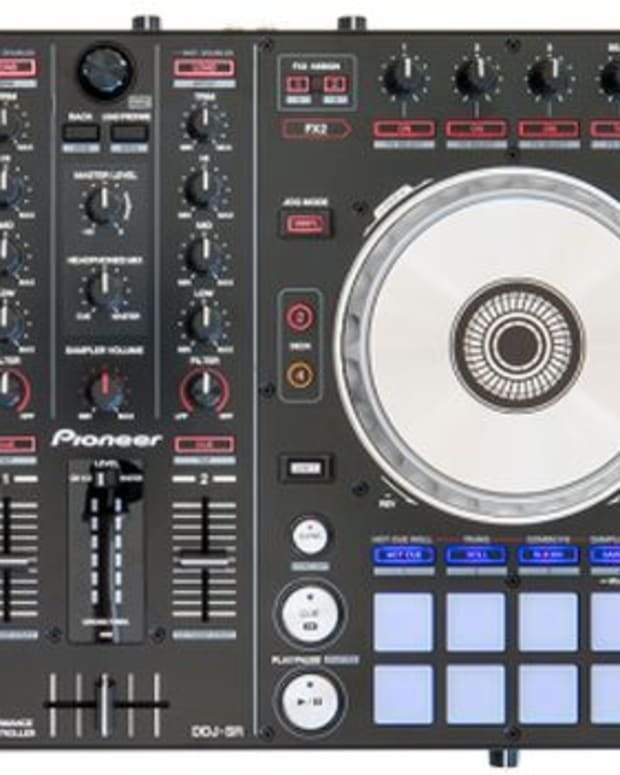 In the center of the DDJ-SR is a built-in 2-channel mixer. Each channel has a three band EQ (Hi, Mid, Low), Filter Control, for manipulating the low-pass and high pass filter&apos;s cutoff frequency, Headphones CUE Button, Channel Fader, Cross Fader, BROWSE rotary knob, LOAD Buttons, BACK (PANEL) button, MASTER LEVEL, HEADPHONES MIX and HEADPHONES LEVEL. Combines crossfader and high pass filter to allow tracks to be mixed smoothly. The DDJ-SB has two effects unit per channel, with 6 presets to choose from. Each deck can have three effects to choose and combine, by simply pressing buttons 1 through 3. The rotary knob can be used for Level and Depth, and can adjust several parameters with "Instant Macro" results. Holding [SHIFT] and turning knobs changes the effect timing. The DDJ-SB has one MIC input (1/4 inch) with a MIC LEVEL knob, to adjust the gain of the microphone or instrument. It has two headphone jacks (1/8 inch and 1/4 inch). USB port to connect to a computer and two RCA jacks for the Master Out. The DDJ-SB is a great DJ controller easy to use for beginners, and DJs on a budget that don&apos;t want to sacrifice quality or too many features. Its professional sound and craftsmanship makes it ideal for advanced DJs, that are looking for a lightweight portable solution. The DDJ-SB combined with the upgrade to Serato DJ unleashes even more features to make "On the Fly" remixes even easier.